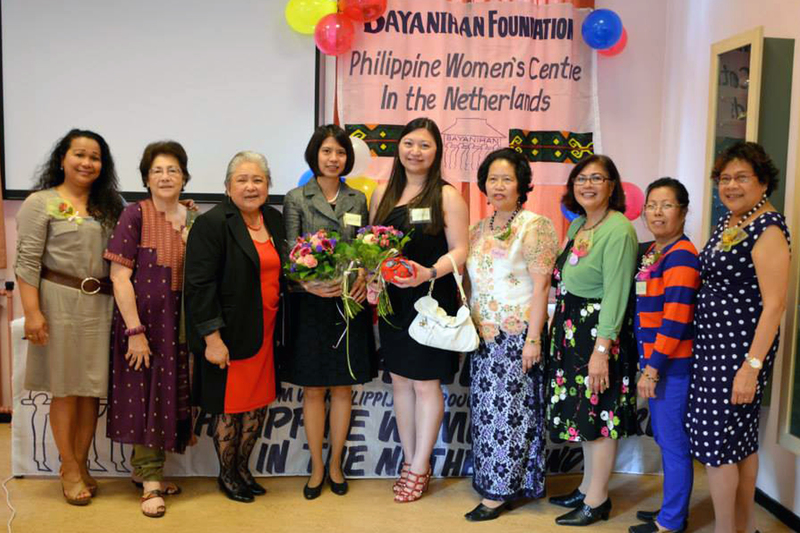 Diana Oosterbeek-Latoza was recognized for her voluntary work in helping fellow Filipinos in the Netherlands. 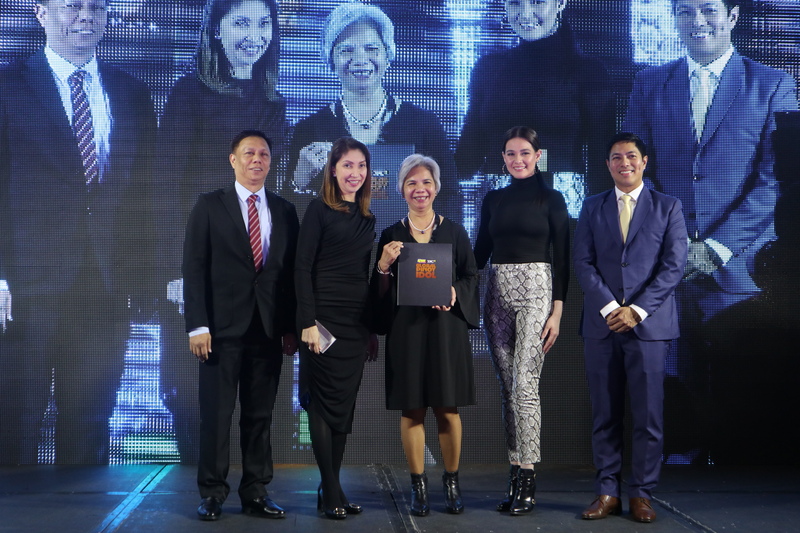 LONDON– After almost 30 years of helping Filipinos in the Netherlands through Stichting Bayanihan, founding chairperson Diana Oosterbeek-Latoza was honoured as one of the outstanding Filipinos in a celebrity-filled awarding in London last November 2018. Oosterbeek Latoza was named a Global Pinoy Idol (GPI), an award given by the Philippines biggest media network ABS-CBN, through its global arm The Filipino Channel (TFC) and its radio network DZMM. She was one of the 11 honourees from Europe who were cited for their various humanitarian works. They have been helping kababayans through their volunteer works. The awardees came from various backgrounds such a doctor, priest, engineer, entrepreneur, teacher and former au pairs. 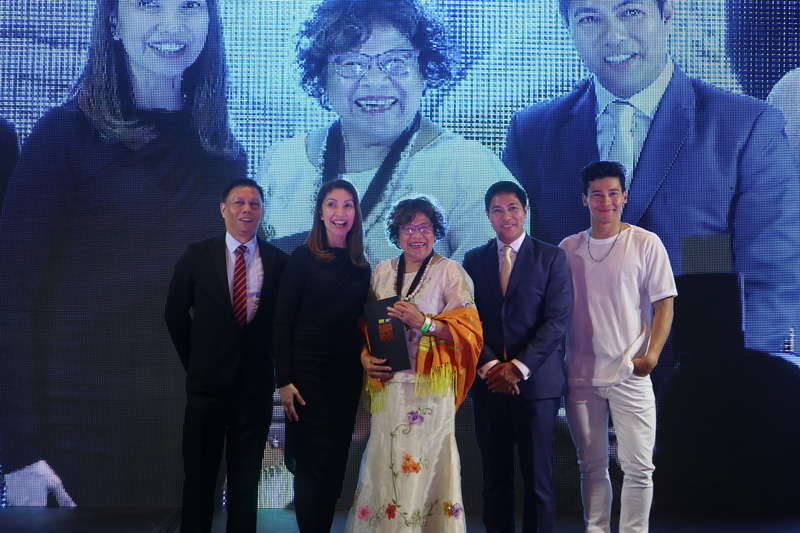 Oosterbeek-Latoza (middle) receives the award from ABS-CBN, TFC and DZMM executives with actor Enchong Dee (far right). 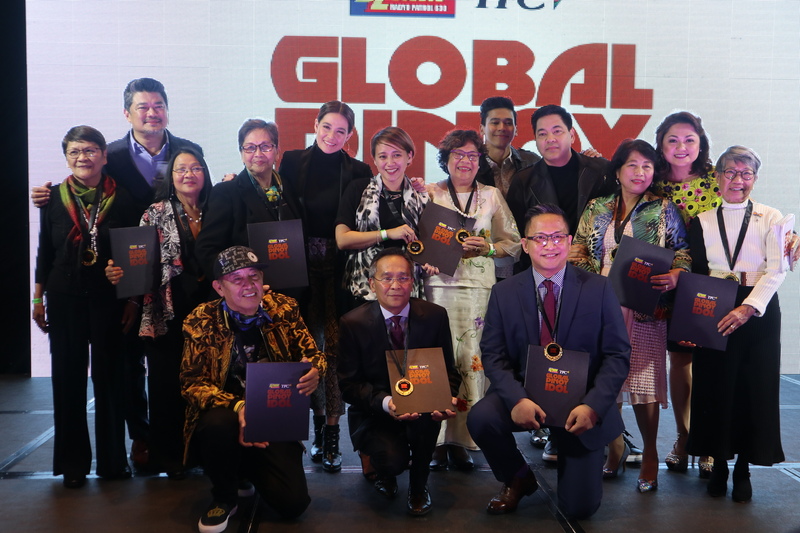 The honourees’ stories were first featured in the TFC’s Balitang Global program and DZMM and were chosen based on their contribution to the Filipinos and the society. 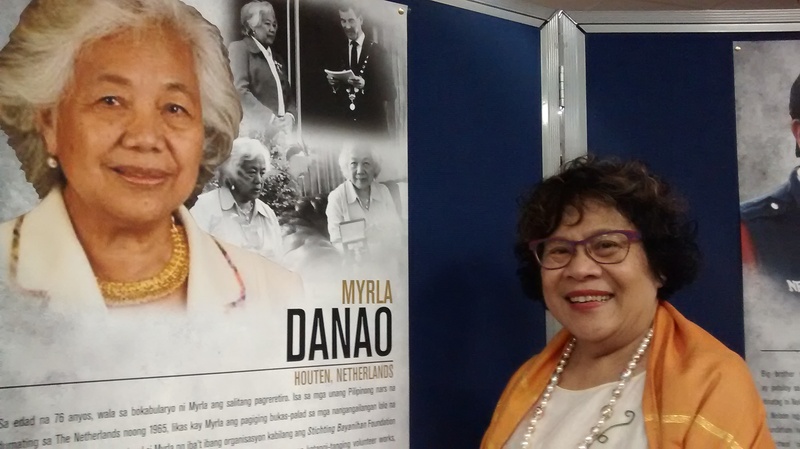 Two other Pinays from the Netherlands– Myrla Danao and Wads Wijnberg-Tiongson –were also given the award. Danao is a former board member of Stichting Bayanihan while Tiongson is a founder of Kapatiran Foundation. 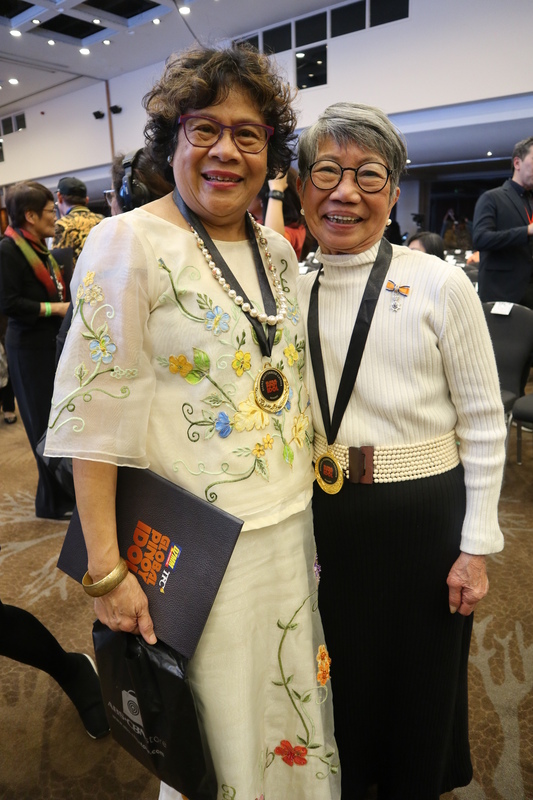 Both women have been helping the Filipino community in the country for many decades and have been founders and members of various organizations helping fellow kababayans here and in the Philippines. Like Oosterbeek Latoza, they were given the Member and Knight of the Order of Oranje Nassau, respectively. Danao could not personally receive the award but represented by Bayanihan member Marlene Macatangay. 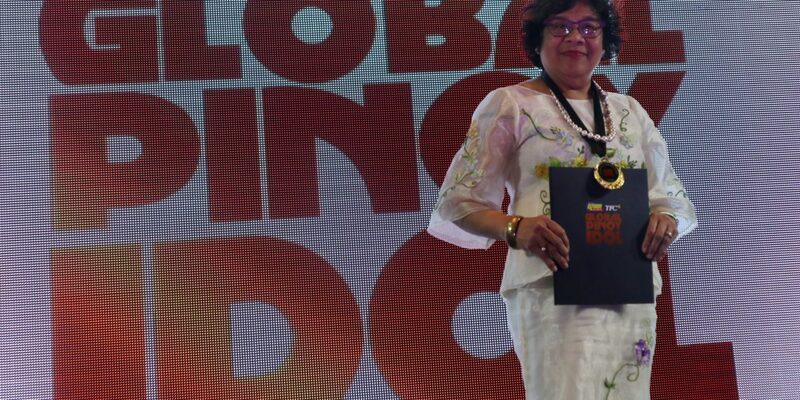 Bayanihan member Marlene Macatangay receives the award on behalf of Myrla Danao, former Bayanihan board member. Two Pinays from the Netherlands and Global Pinoy Idol honourees Diana Oosterbeek-Latoza and Wads Wijnberg-Tiongson. The Global Pinoy Idol is DZMM and TFC’s way of honouring and showing to the world the Filipinos’ nobility of spirit. The idea of GPI stemmed from the fact that there are almost 9 million Filipinos abroad. And each of these 9 million struggled with starting their new lives abroad. A vital support group to help these new overseas Filipinos cope are the kababayans (countrymen/women) who migrated before them. DZMM and TFC wanted to recognize and share the stories of Filipinos abroad who help other Filipinos. By sharing these stories, it is hoped to hope to inspire and promote trust and mutual help and cooperation among Filipinos, not just abroad but home. Oosterbek-Latoza’s nomination was based on her work on Stichting Bayanihan that she co-founded with Norma Javellana and Margarette Lap in 1991. “Bayanihan started as just a small. It is a committee of social service of a certain Filipino organization named Damayan. It started there as a committee. 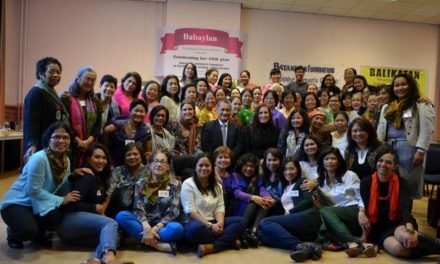 But then the women realized we should not limit our help to the members of Damayan but to all the women who need us”, Ooterbeek-Latoza said. 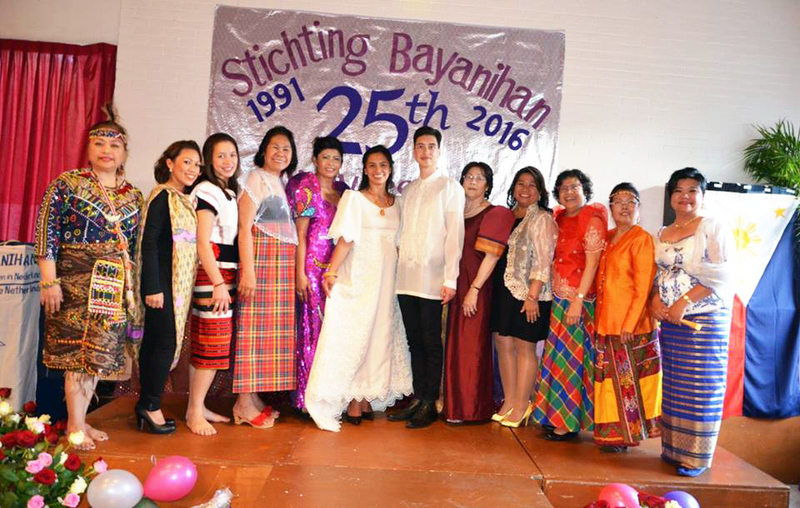 Stichting Bayanihan has been helping au pairs and women in crisis situations. It is also active helping seniors to plan their lives that involve health care, pensions, families and other practical issues and challenges that come with retirement. “The heart of Bayanihan is really social service; helping Filipinas who are in need, who are in problem situations. And also not only in problem situations but also Filipinas who believe we have a place in the Dutch Society. That’s why we have to integrate. We have to participate in this Dutch society and emancipate ourselves through empowerment,” Oosterbeek-Latoza added. The awarding of the Global Pinoy Idol was the highlight of the day-long activities lined up for Filipinos in the UK. The attendees were given free lectures on financial health and literacy, and had a taste of home through the featured Filipino booths in the venue. Famous Filipino celebrities like actress Bea Alonzo, actor Enchong Dee, singer Martin Nievera and radio and TV anchor Julius Babao flew in from Manila to grace the event. A huge section in the convention hall also featured posters of the awardees where the audience got to know them more. 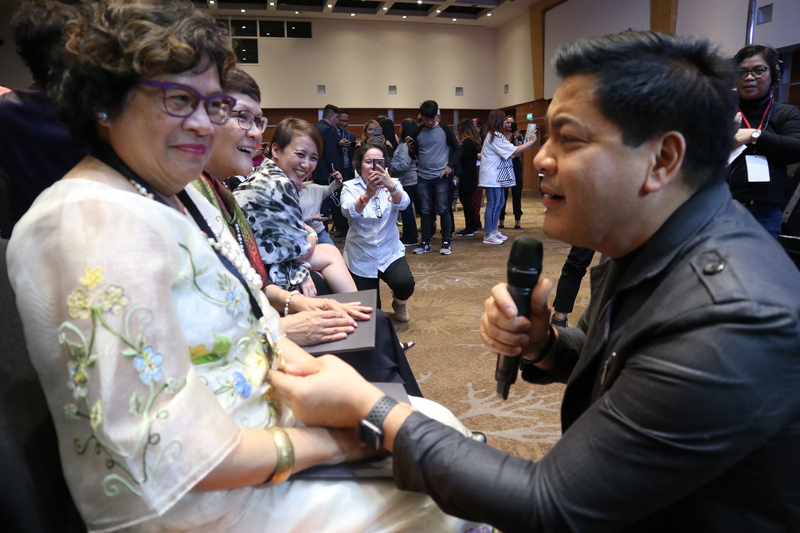 The Stichting Bayanihan chairperson and Global Pinoy Idol awardee being serenaded by Filipino ballader Martin Nievera. Before being named as a Global Pinoy Idol, Oosterbeek-Latoza already received in 2016 the prestigious Zami Awards, a recognition for the contribution of women of colours and was given the Achievers Award by the Filipino Migrants in Solidarity (FilMis). In 2017, she was also honoured the Knight of the Order of the Oranje-Nassau, the highest recognition given to volunteers who have made an impact in the Dutch society. Back in 2012, Bayanihan Foundation was awarded the Banaag Awards, a recognition given by the Philippine government on organisations abroad. The Global Pinoy Award for Oosterbeek-Latoza was a nice way to end the 2018 with inspiration. She vows to continue her work with Bayanihan with the same passion she had when it started. Congratulations Diana! Your Stichting Bayanihan family is so proud of you! 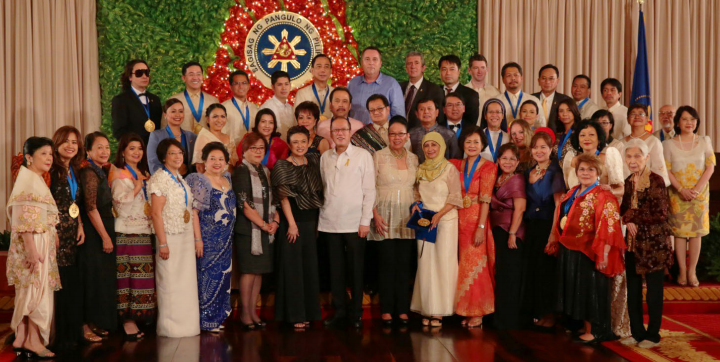 Oosterbeek-Latoza (wearing a Filipiniana dress, center) with the other awardees and Filipino celebrities.